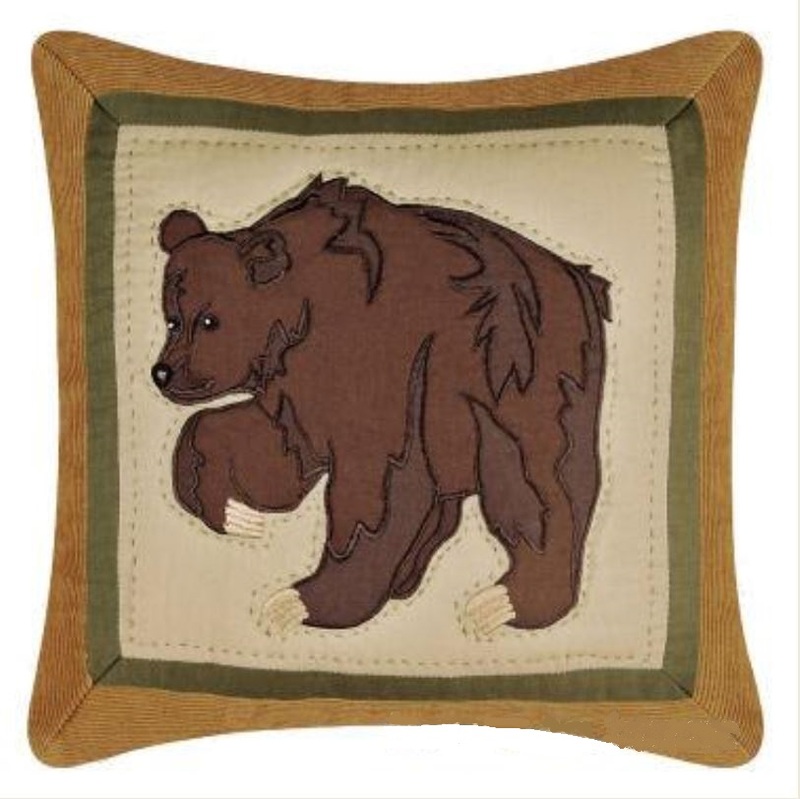 A pawing Brown Bear is hand sewn on a taupe center, outlined with an olive green trim, and edged with a corduroy border for rustic charm. Reverses to a solid brown. 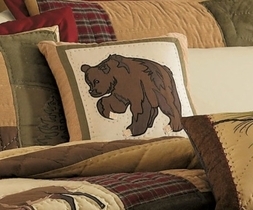 Great for a bed, sofa, or your favorite easy chair.